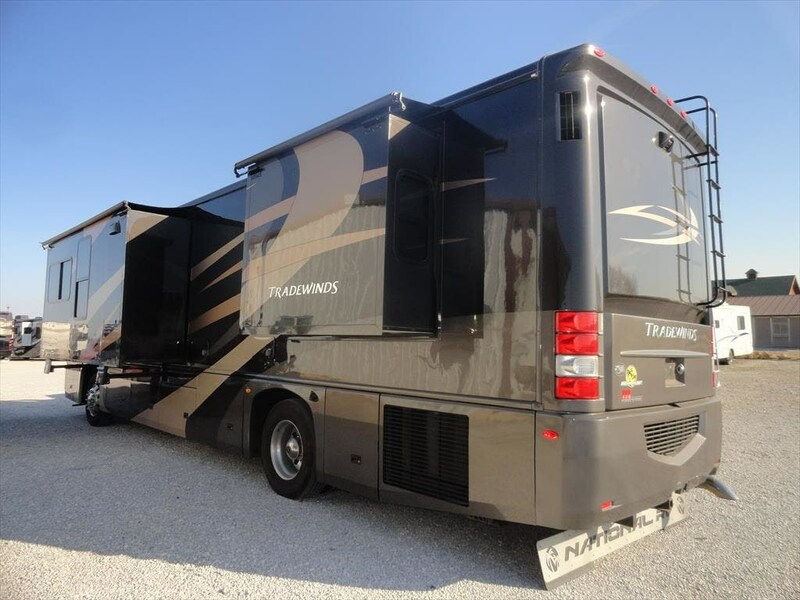 This is a 2006 National Tradewinds 40E Diesel Pusher that is 40 ft long. 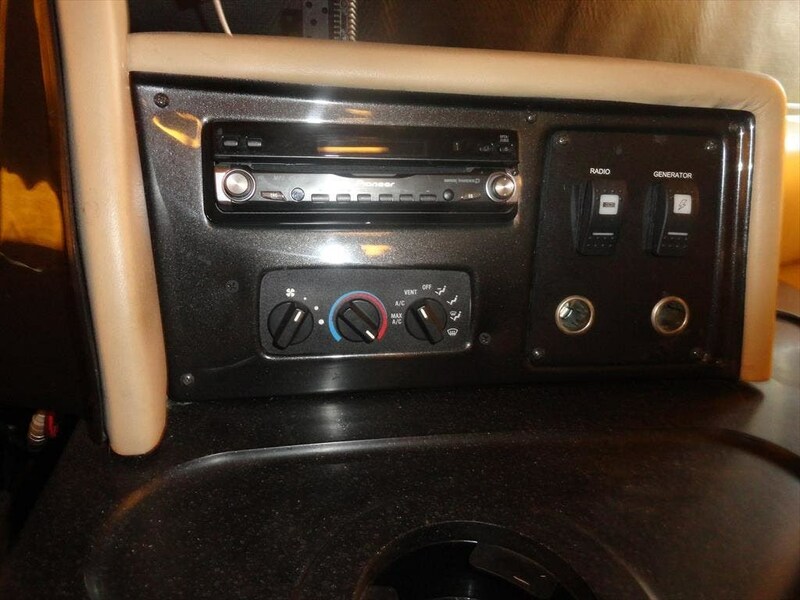 It has 61K miles on it. 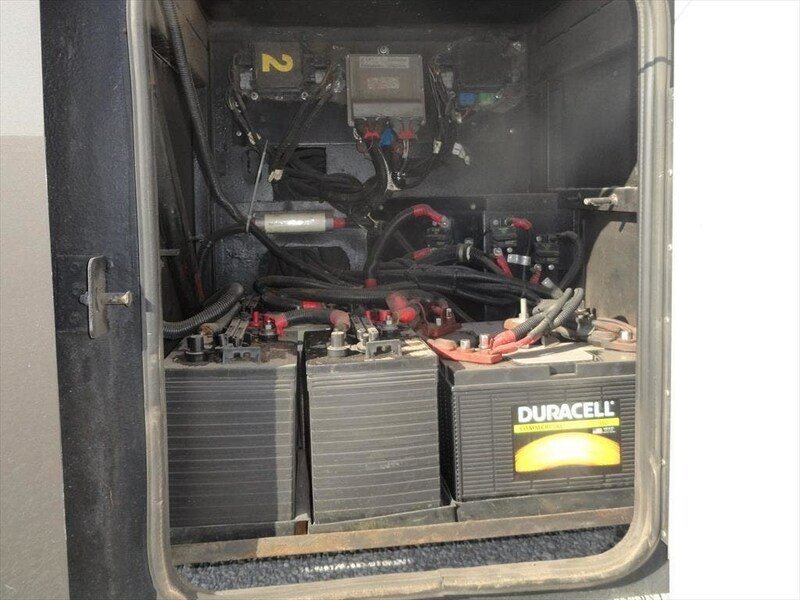 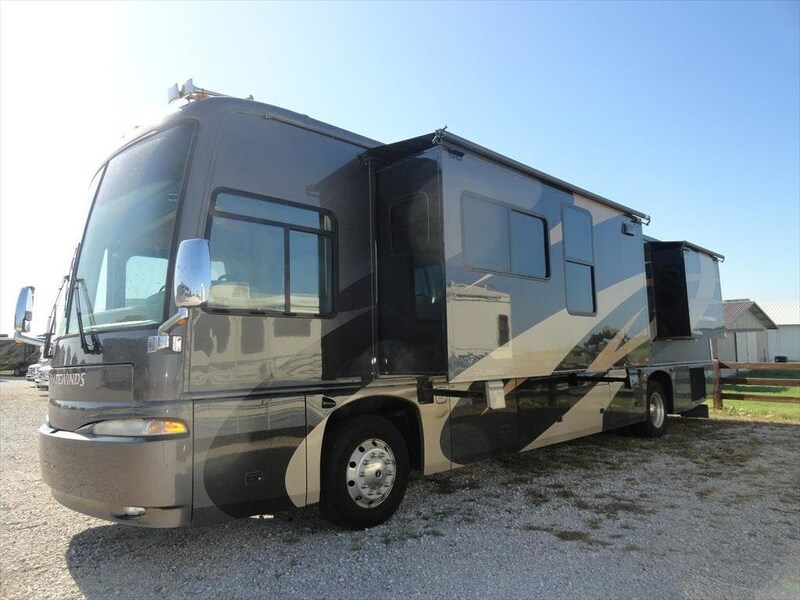 Cummins 400HP Diesel Engine, 8000 Onan Generator, Freightliner Chassis, THREE Slide-Outs w/ Awnings, Power Patio Shade Awning, Power Door Awning, Window Awning, 50 Amp Service, HD Satellite System, Ladder-To-Roof, 6-Speed Allison Transmission, Power Gear Electric Leveling, Double Power Step, Power Passenger Step Cover, Rear Back-Up Camera w/ Monitor In-Dash, AM/FM/CD Player w/ Navigation, Power Front Window Visor, Map Lights, Cab Fans, Leather Simulated Power 6-Way Front Seats, THREE TVs, DVD Player, Surround Sound, Day/Night Shades, Laminate and Carpet Flooring, Basement Air, Heat, Central Vacuum System, Solid Surface Kitchen Countertops, Double Sink w/ Cover, Convection Microwave, 3 Burner Stovetop w/ Cover, Refrigerator and Freezer w/ Water Dispenser, Fireplace, Table w/ Dining Chairs, Leather Simulated Couch that Converts to Sleep Area, Private Bathroom w/ Toilet, Mirrored Medicine Cabinet, and Sink, Shower w/ Glass Door, Seat, and Overhead Skylight Window, 2nd Sink w/ Mirrored Medicine Cabinet, Private Bedroom w/ Queen Bed, Dresser, Vanity, Mirrored Sliding Closet Doors, Wardrobe, Washer/Dryer Combo Unit, Sleeps 4. 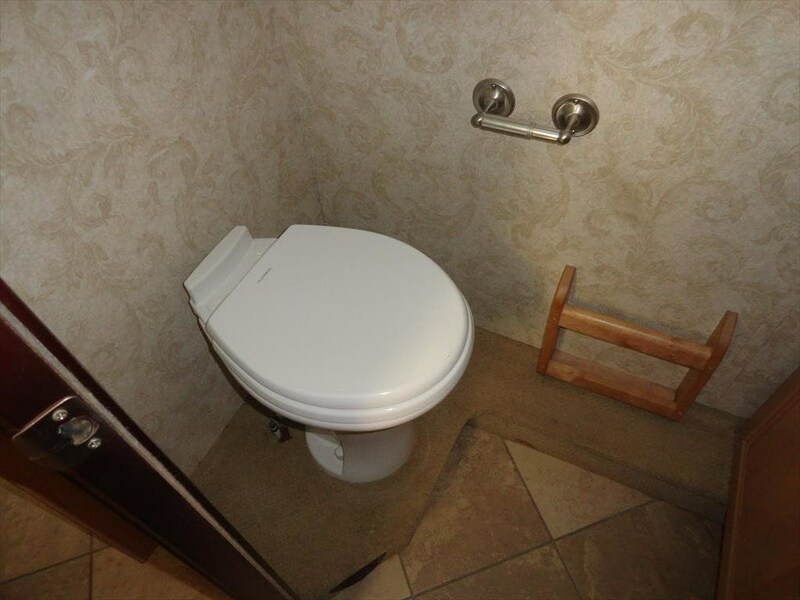 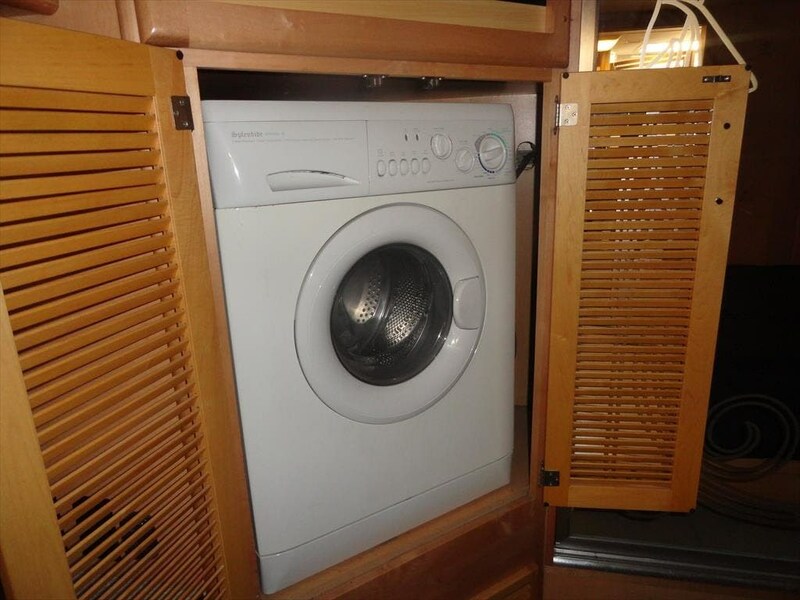 Decor Not Included. 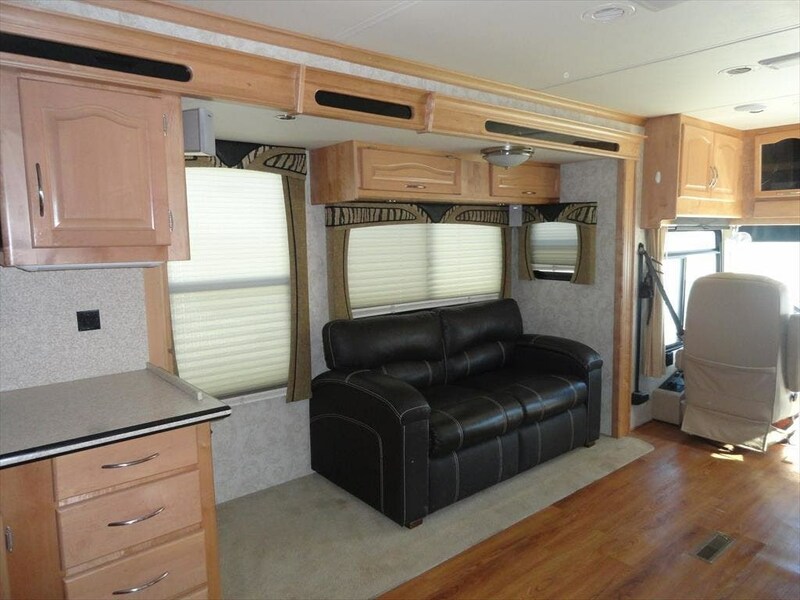 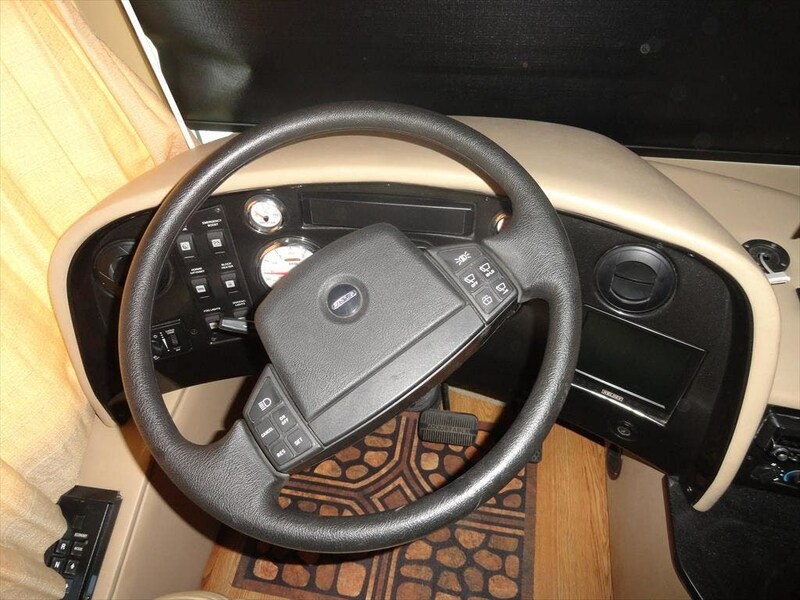 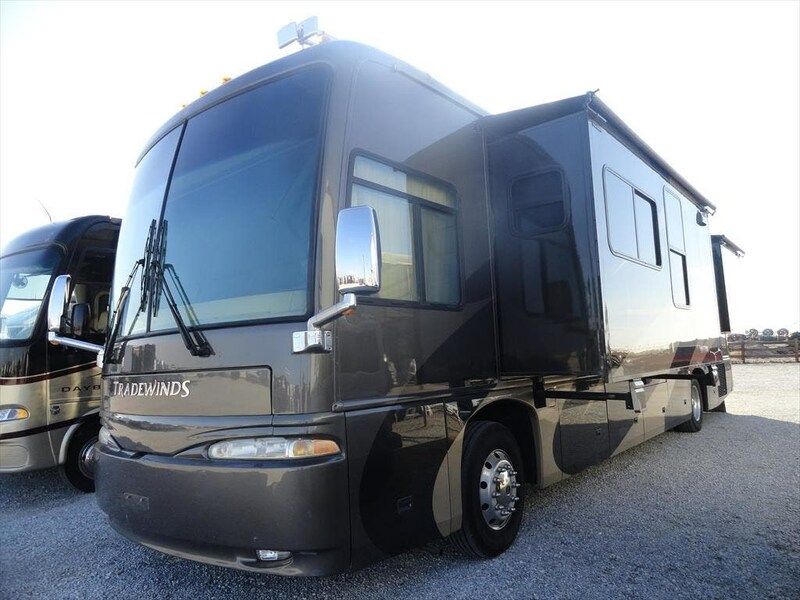 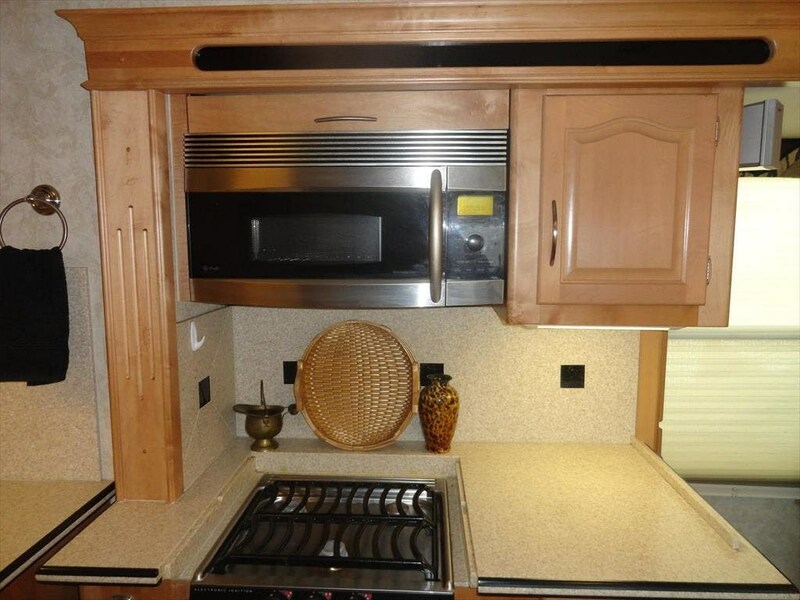 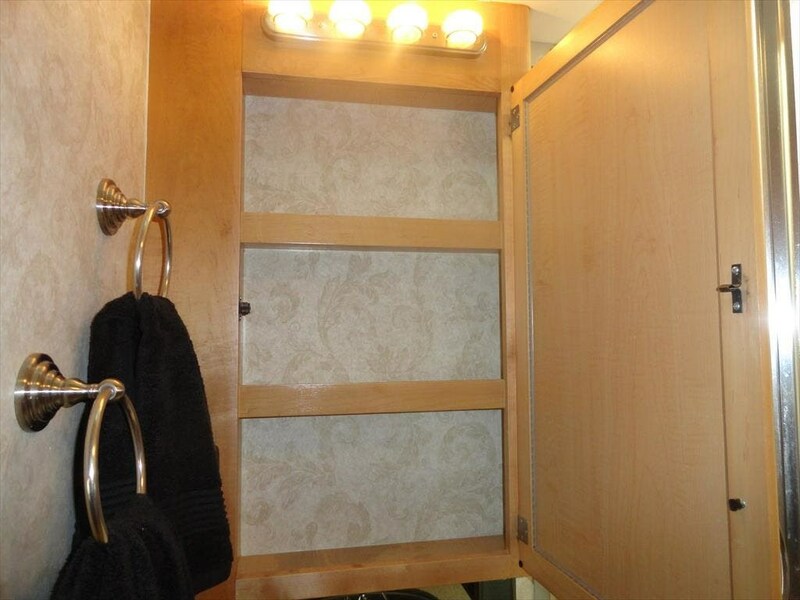 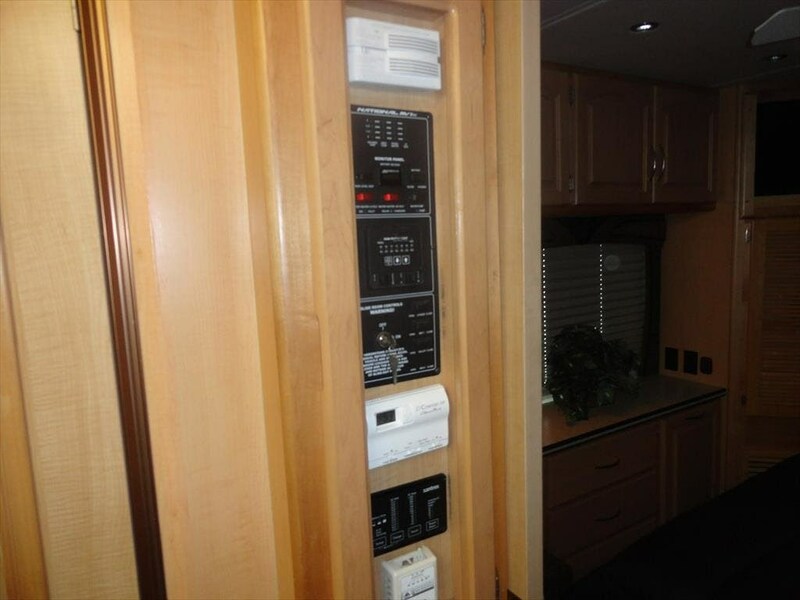 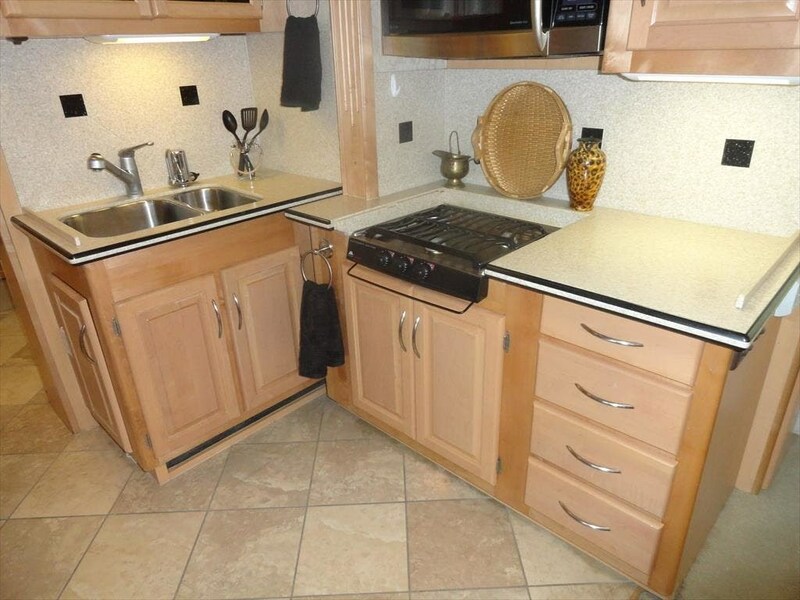 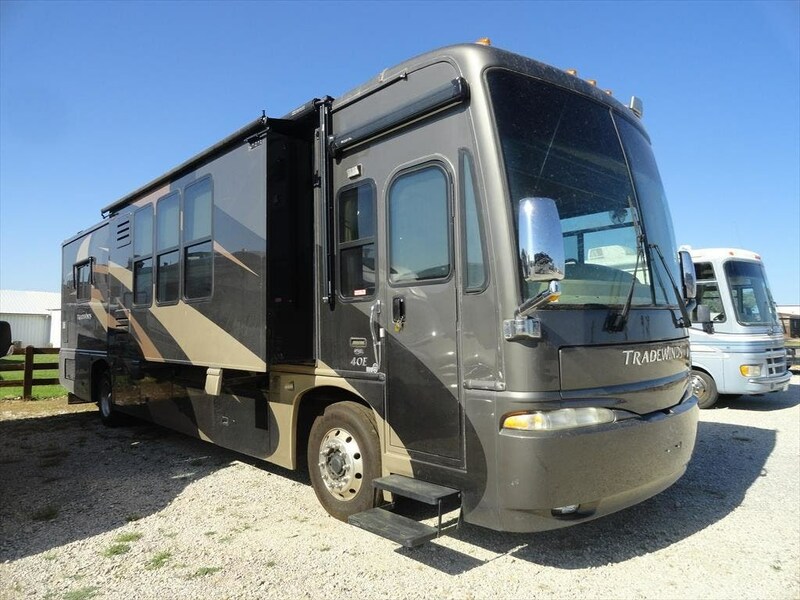 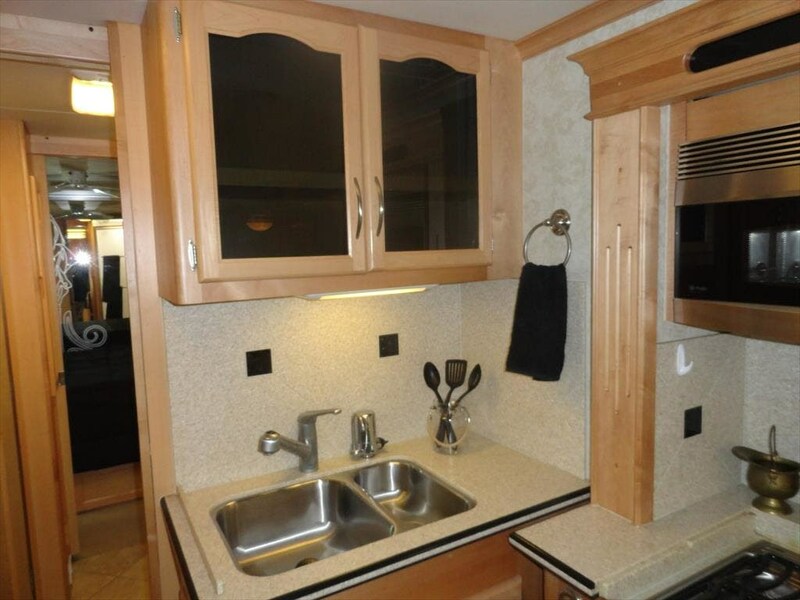 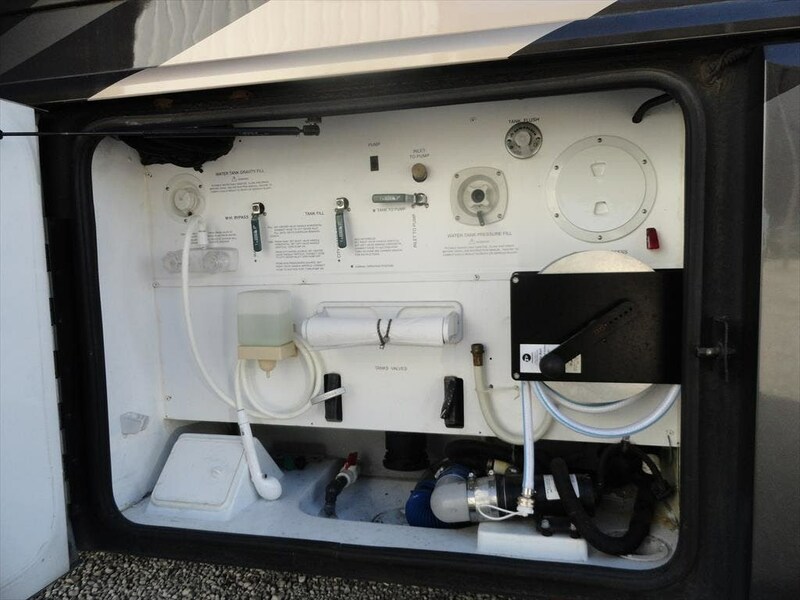 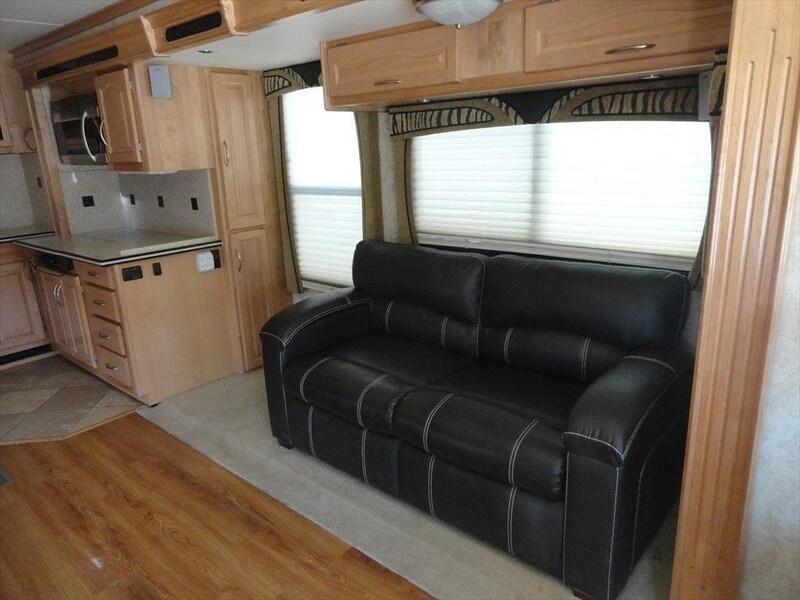 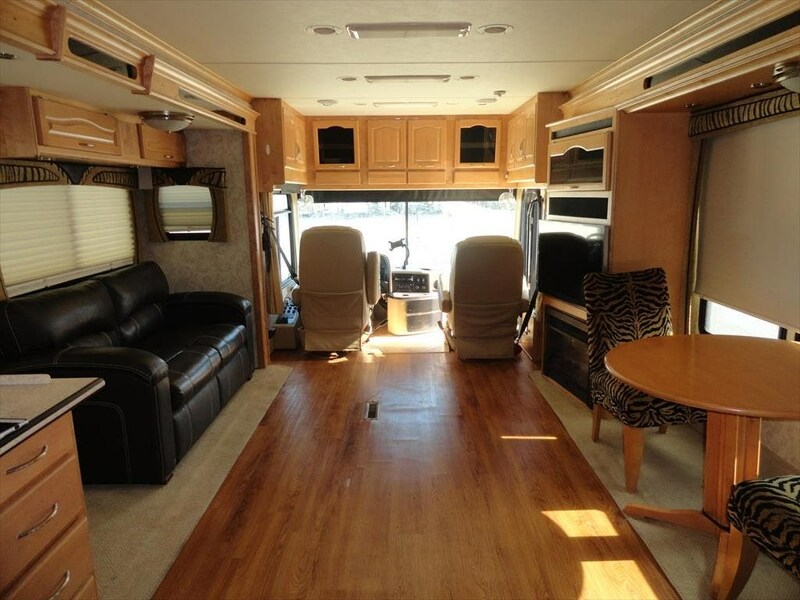 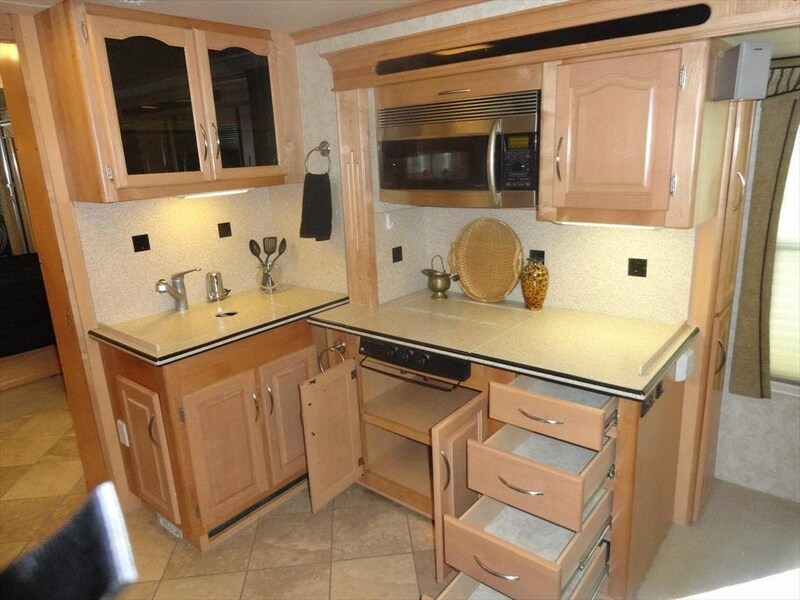 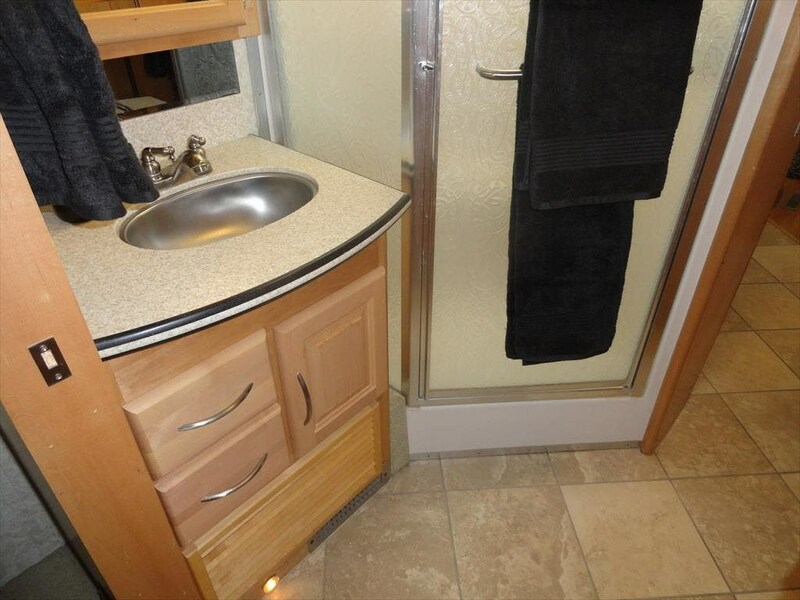 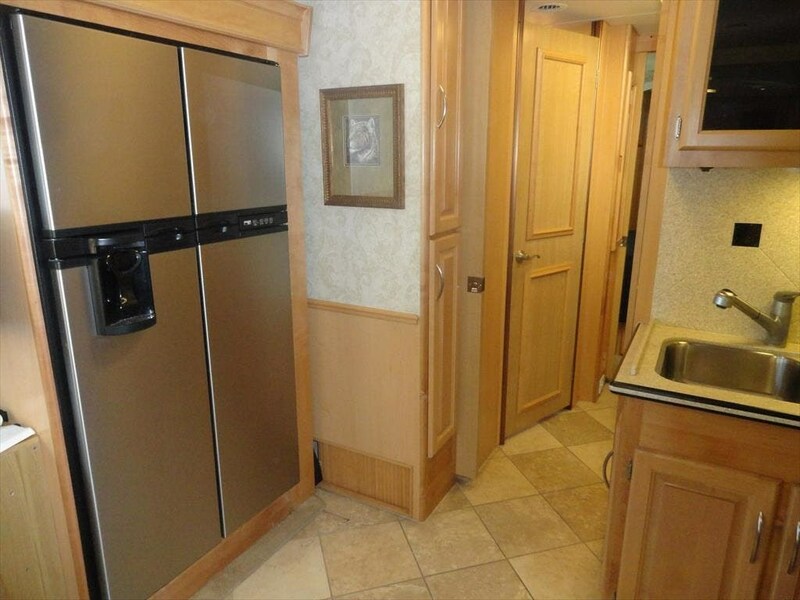 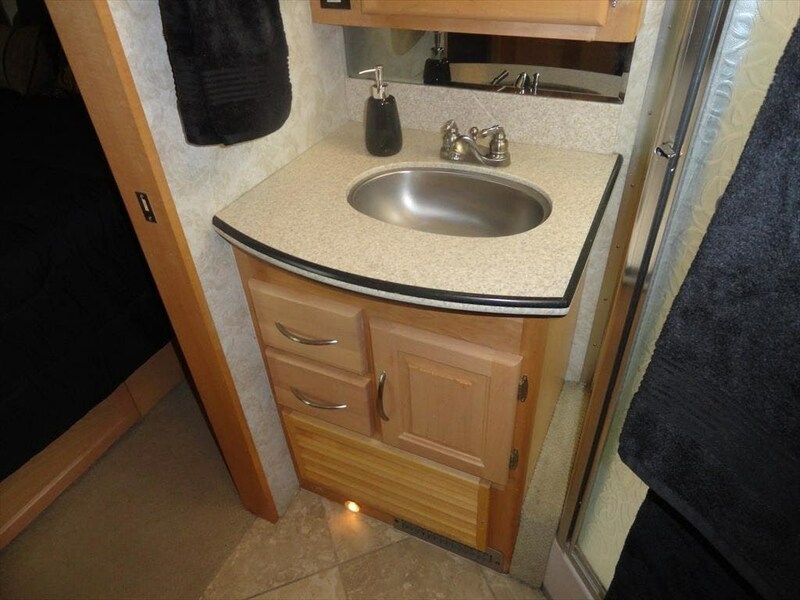 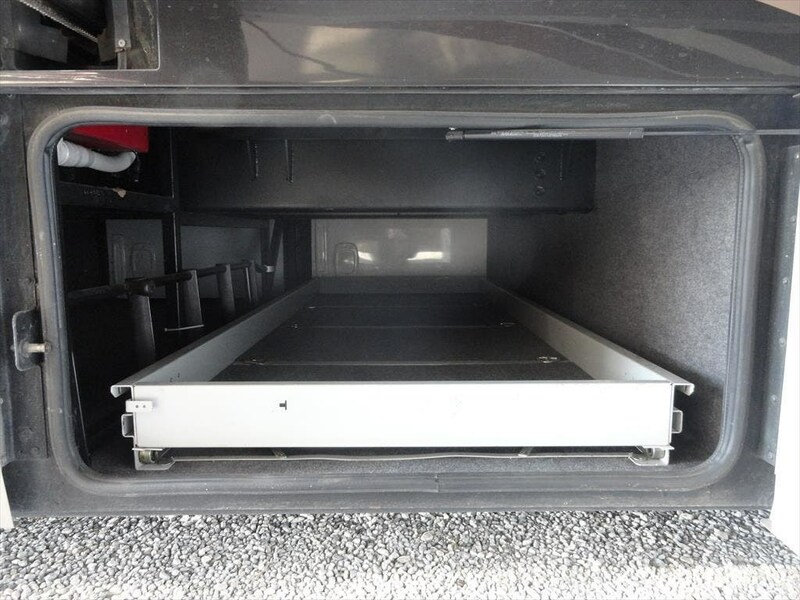 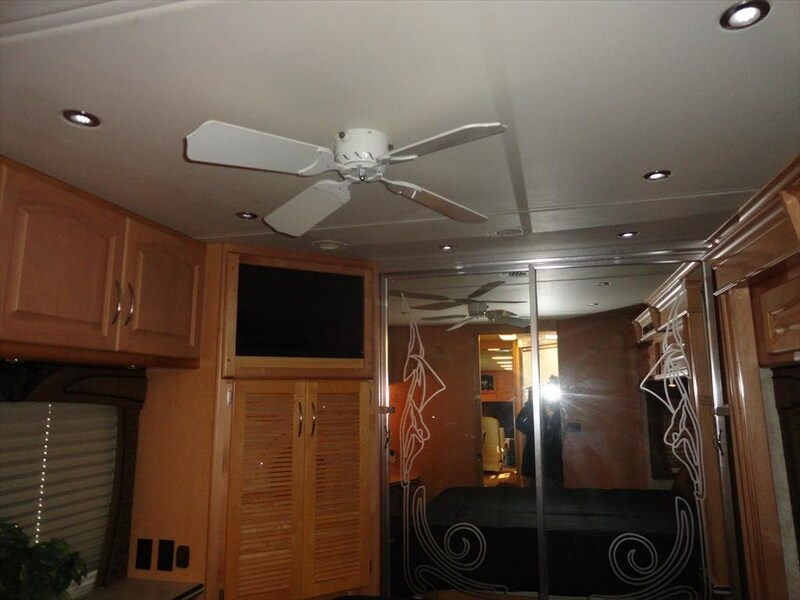 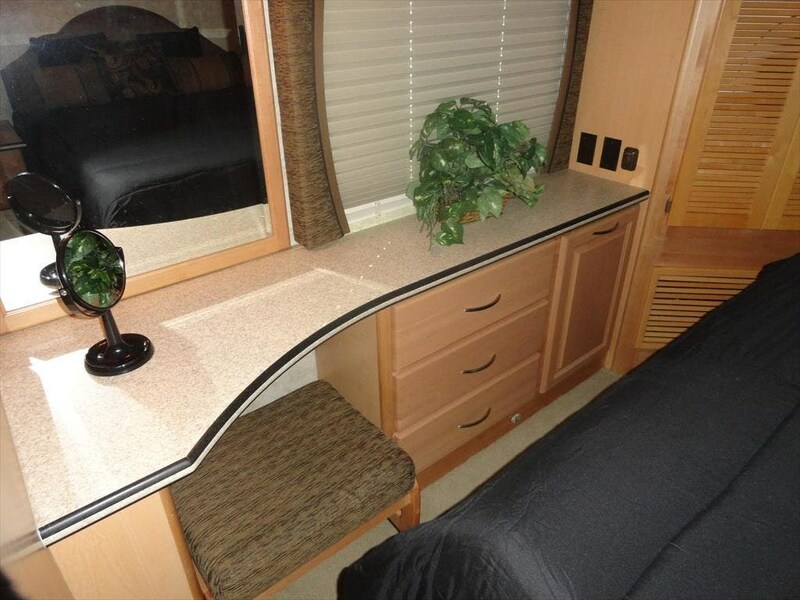 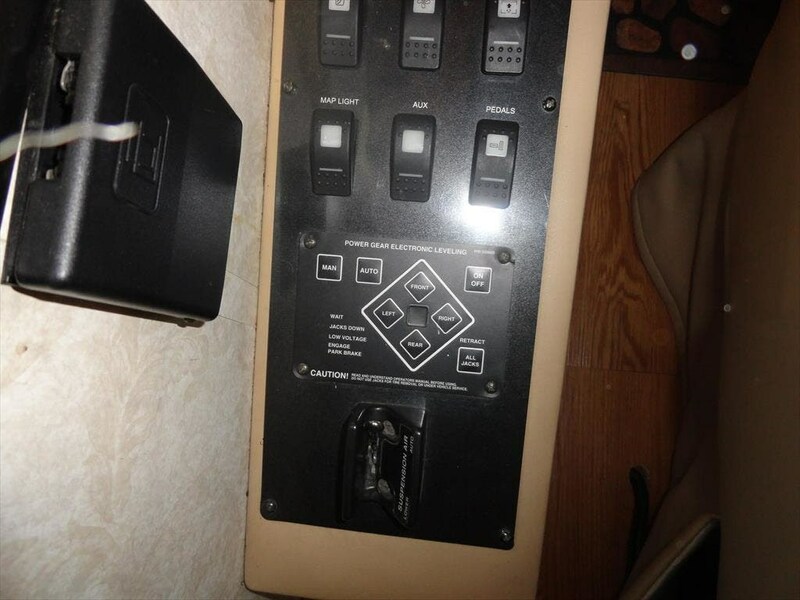 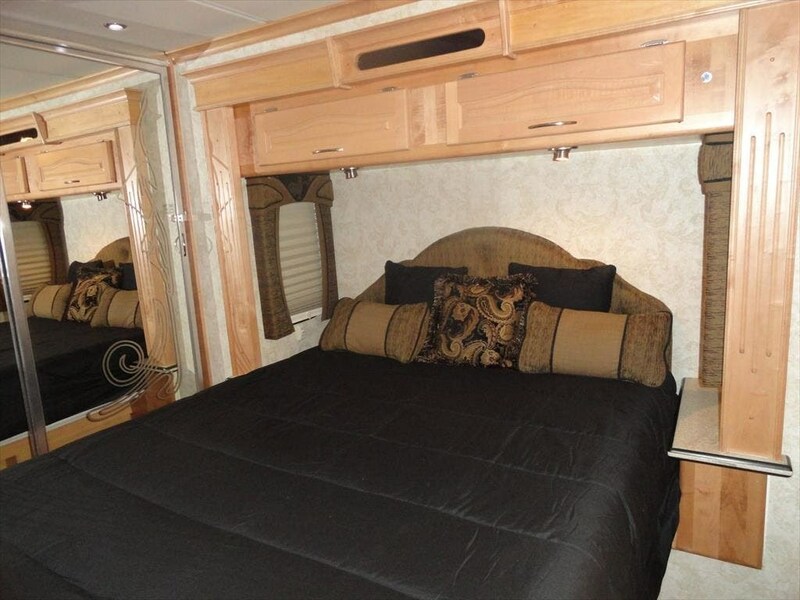 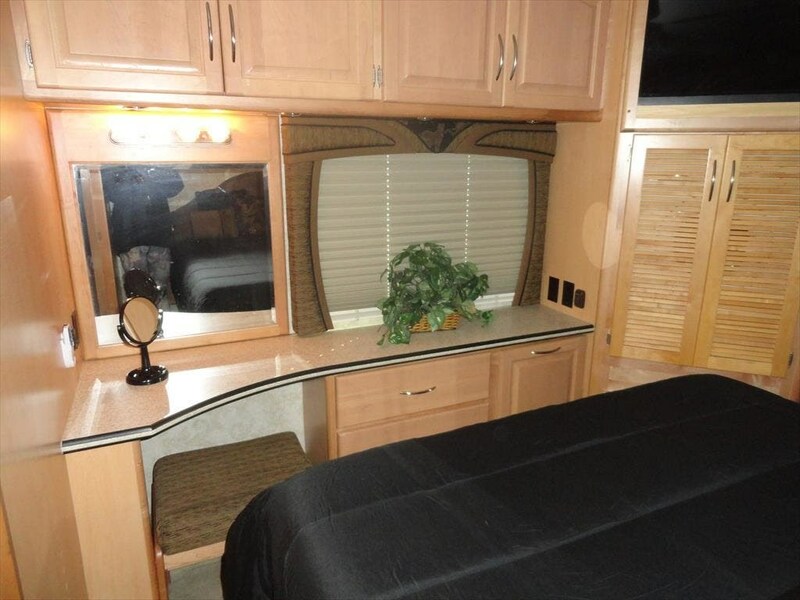 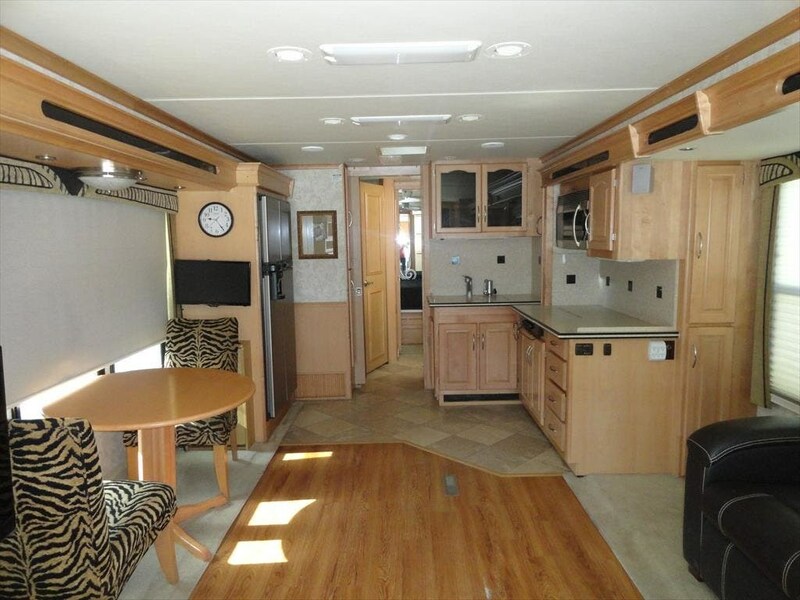 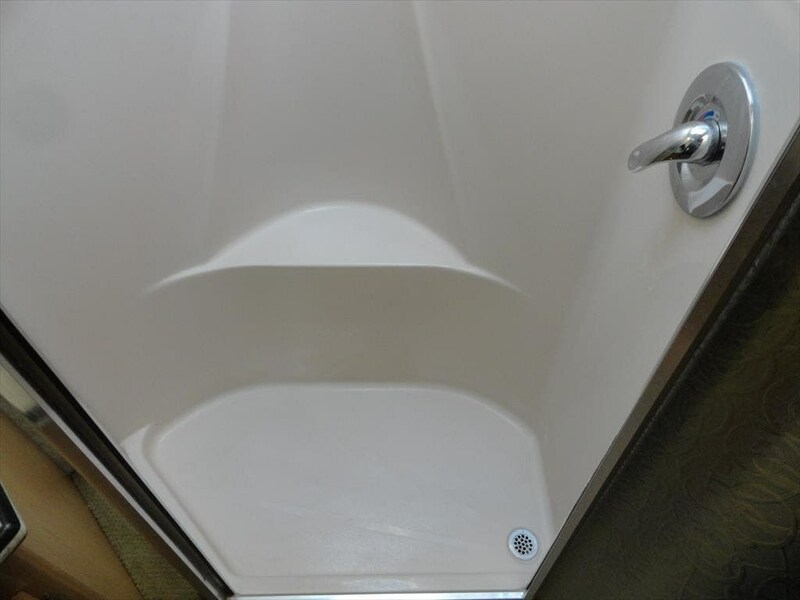 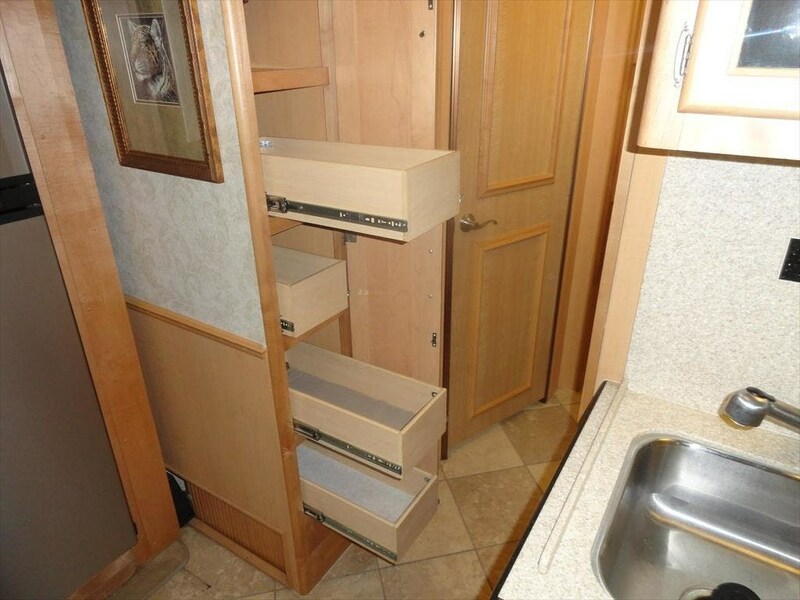 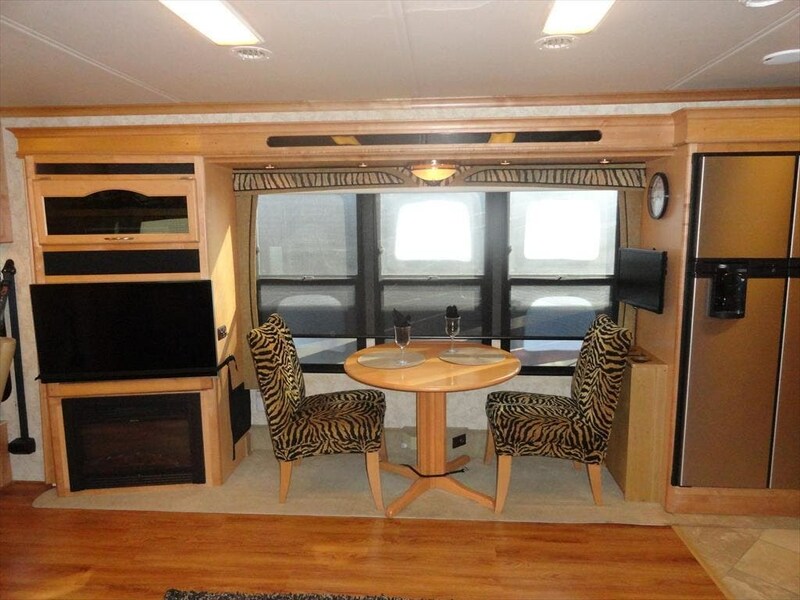 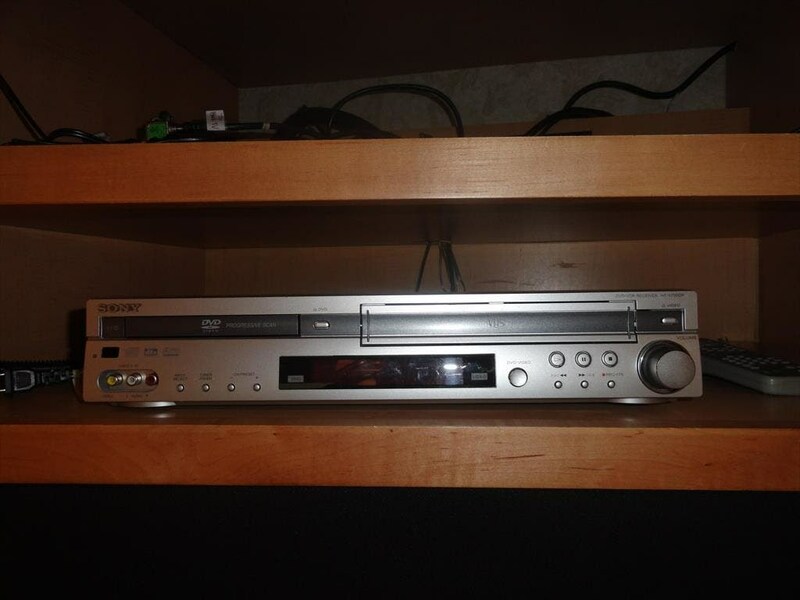 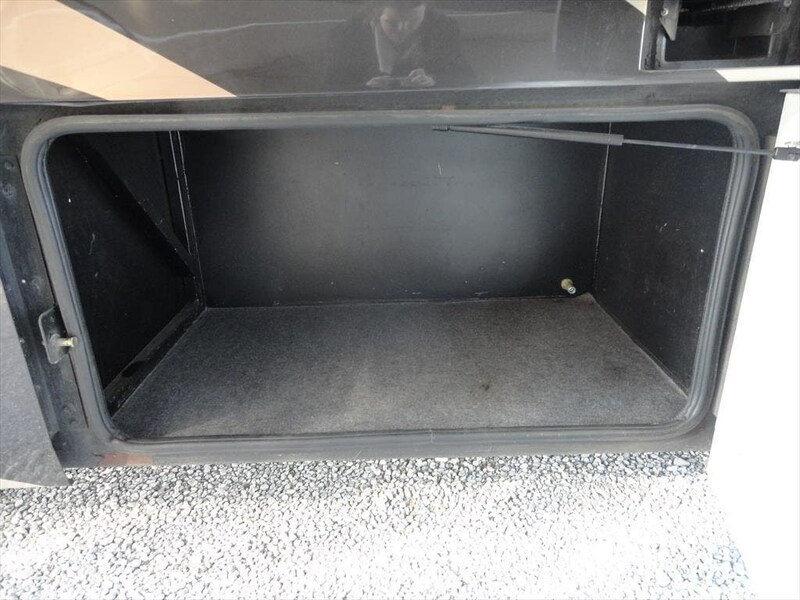 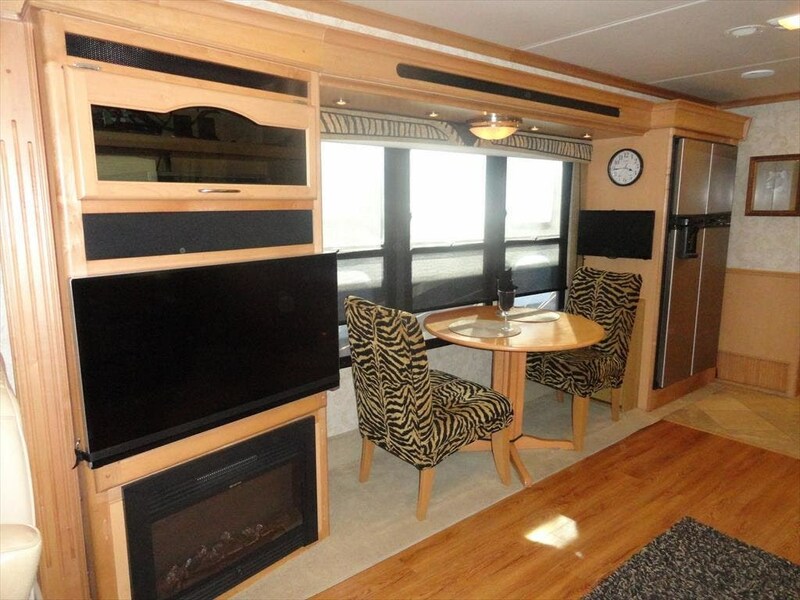 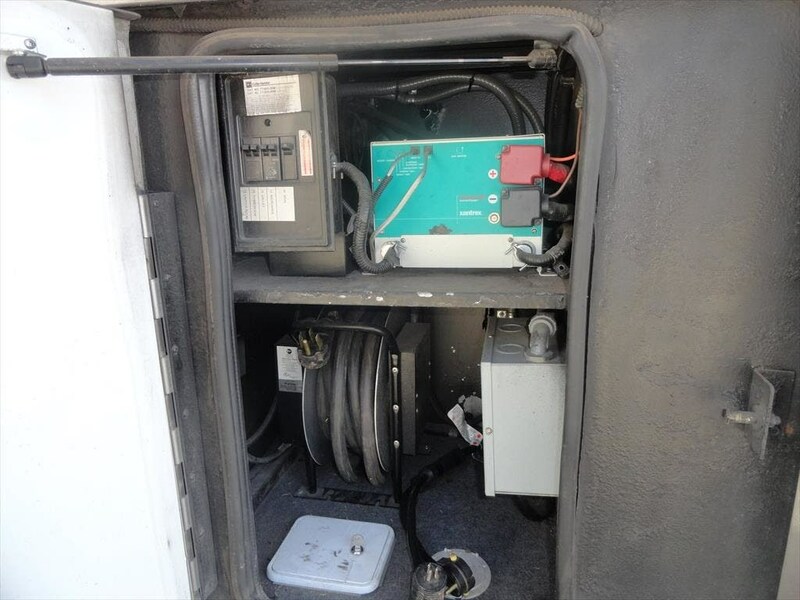 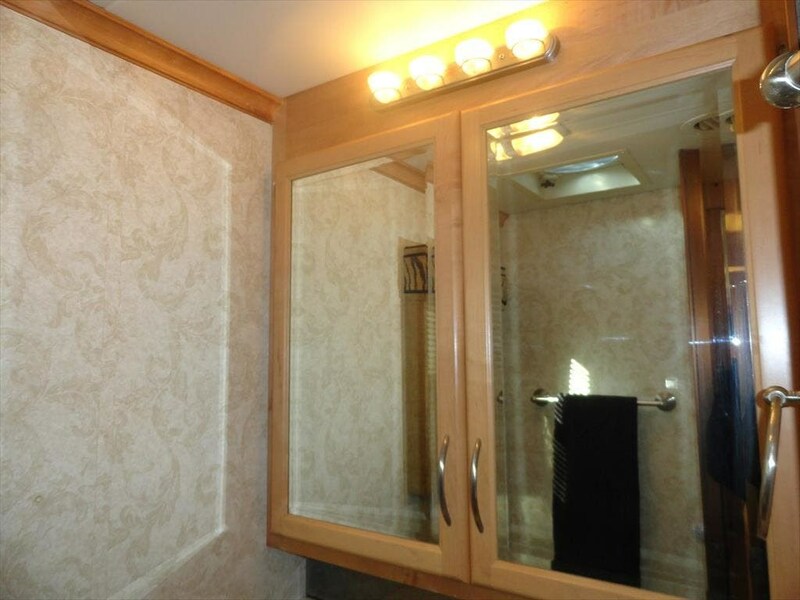 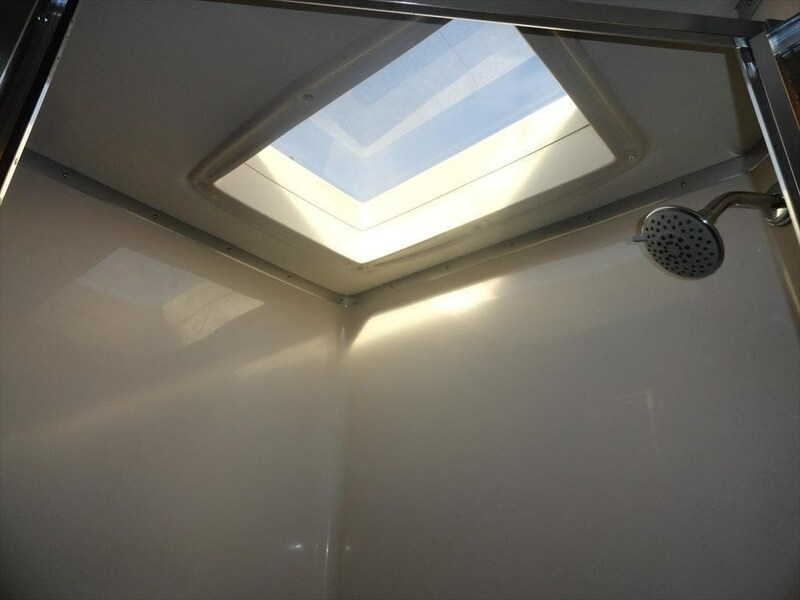 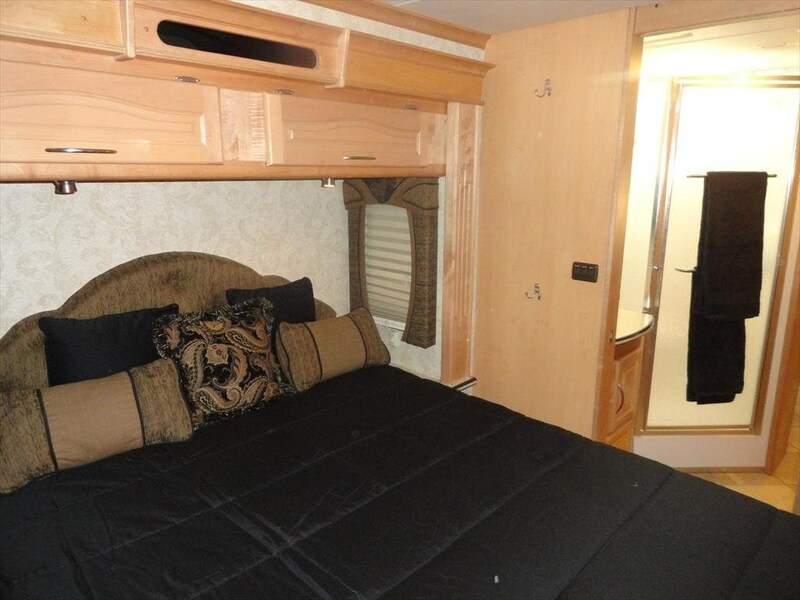 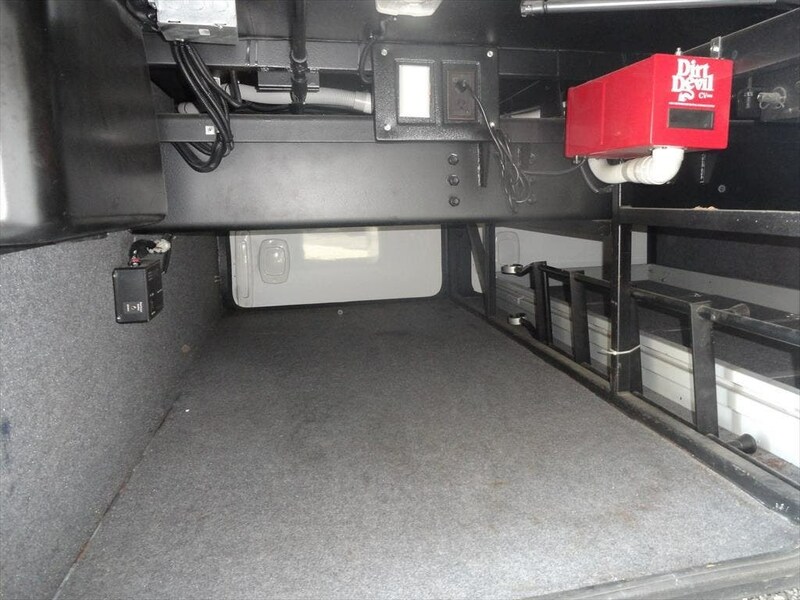 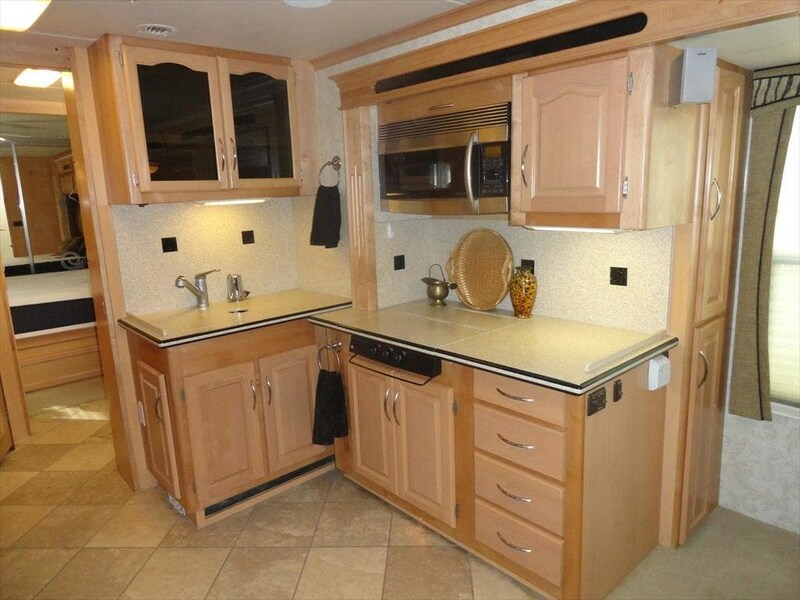 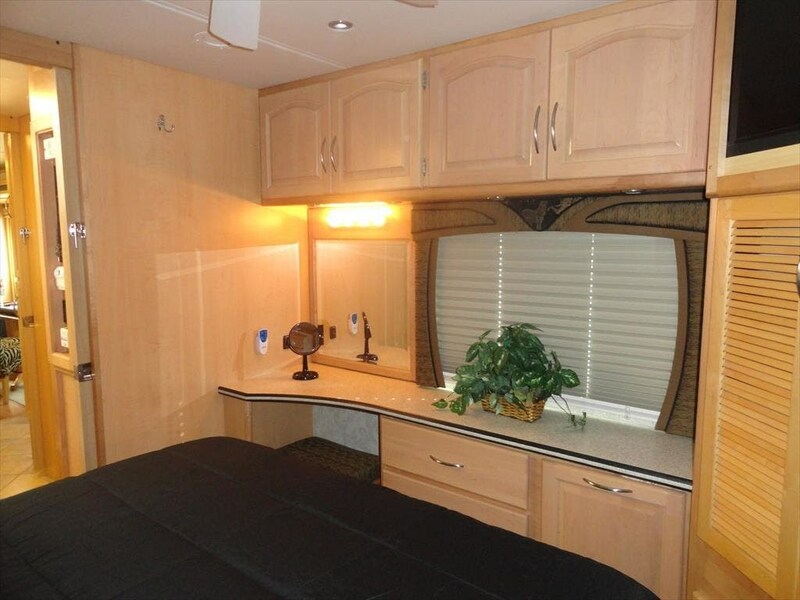 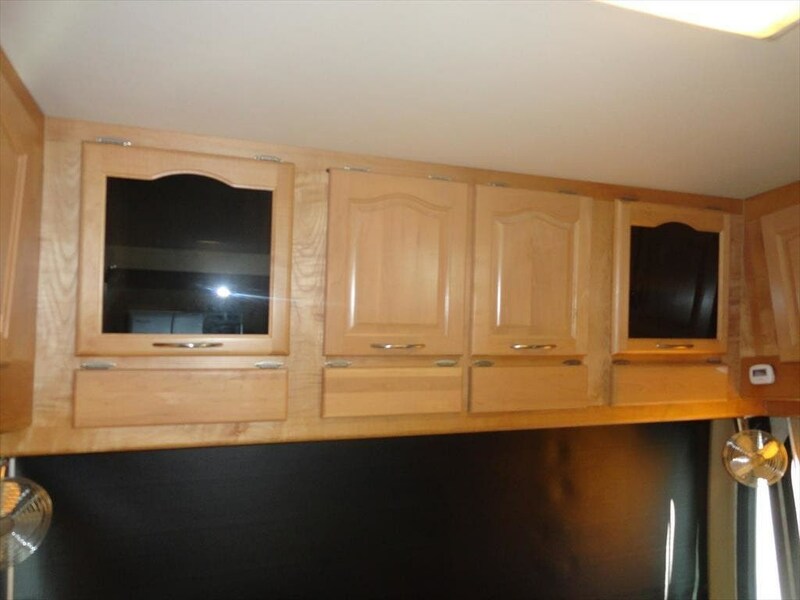 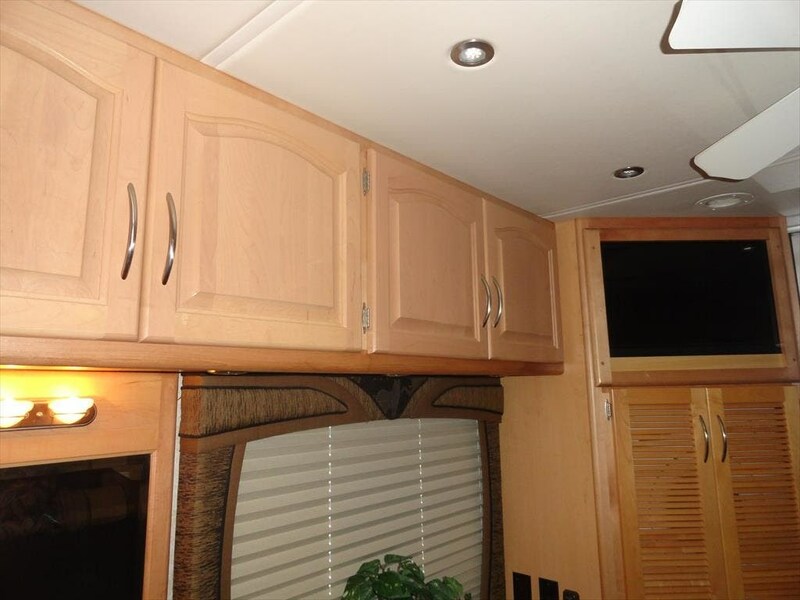 Check out Stock # AD156 - 2006 National RV Tradewinds 40E on nationalrvsource.com!